Is a mini-van just not big enough for your travel group? The SUV just too cramped? Then AAMCAR Discount Car Rental has the New York rental car for you! The 15 passenger Ford Clubwagon extended van rental is big enough to transport all your travel mates without being bulky. The interior is spacious and comfortably with enough room to comfortably seat 15 fully grown adults. So whether you are transporting family to a reunion or picking up some friends for a big night out on the town, the Ford Clubwagon extended van ensures that you won’t forget anyone and allows you some extra space to pick up a few new members along the way! The Ford Clubwagon New York rental car is a true person hauler. The interior has a full cloth headliner and full vinyl/rubber floor covering. The front seats are bucket designed with fixed headrests, 2 way adjustable seat settings and armrests. The rear seats are bench designed and extremely comfortable. AM/FM radio is available in most models along with air conditioning, (contact AAMCAR for more information). Driving the Ford Clubwagon 15 passenger extended van may seem a little daunting, but there’s really nothing to fear. Extended side mirrors are included which correspond to the length of the rental, allowing for increased safety. The hydraulic power-assist re-circulating ball steering system allows for supreme control over the road. The front coil spring suspension is independent in design, allowing for either front wheel to track over road imperfections with minimal disturbances and effects on the opposite front wheel. The rear suspensions are on a rigid rear axle with HD rear shocks. The 1998 Ford Clubwagon 15 passenger New York rental car model has a 5.4 liter (329.7 cubic inch) V-8 engine with SOHC SMPI 16 valve technology. The electronic ignition revs up the super powerful engine which runs on unleaded fuel and a 72 CCA battery. This Ford Clubwagon is a rear-wheel drive vehicle with a 4 speed automatic electronic transmission with overdrive. The Ford Clubwagon 15 passenger New York rental car extended van is a great rental option for those of you visiting New York with a large group of people. Extended vans have been extremely dependable throughout the years, requiring few altercations to its designs. Extended vans are roomy enough to transport basketball teams and great for driving the band across country. 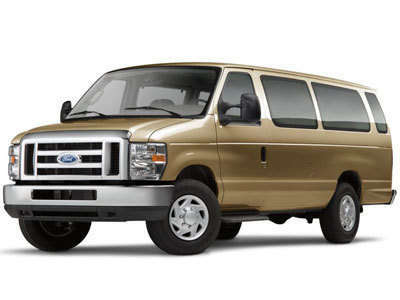 Extended 15 passenger van rentals are also extremely safe. Many models include automatic door locks and all include three point seatbelts. These seatbelts are often height and width retractable allowing for increased comfort and personal safety. The braking system is a standard 4 wheel anti-lock system capable of stopping on all types of surfaces. From snow, to rain; dry pavement to icy cement, an extended 15 passenger van is easy to control when braking. If you are planning on moving some heavy furniture while in the New York area, (or even just planning on doing some serious shopping!) you need to look into the AAMCAR’s cargo van rentals. The Ford Econoline extended cargo van rental is perfect for transporting all sorts of cargo. AAMCAR Discount Car Rental also offers SUV, minivan and car rentals so be sure to check out their fleet online. For more information on the Ford Clubwagon 15 passenger New York rental car call 1-800-722-6923 or to reserve your own van visit the Rental Center. Get ready for a great time with your New York car rentals company AAMCAR. Whether you are experienced or just want to try a new sport, the Brooklyn Golf Center will make sure you have an amazing time. Erase that image of only stuffy old people playing golf! When you visit with your New York car rentals company AAMCAR you are guaranteed for the time of your life. Whether you’re an experienced and seasoned player or just want to try your hand in something new, the Brooklyn Golf Center has something for everyone. No matter how good you are in golf, there is always ways to improve. What better way to learn a few things then at Brooklyn Golf Center with your New York car rentals company AAMCAR? Adult clinics are usually held on Saturday mornings at 9:00 am at the beginning of the month. Traveling with children? You’ll find no problem keeping them bust when with your New York car rentals company AAMCAR. The Brooklyn Golf Center also offers Junior Clinics held on Saturday mornings (at 11:00 am) or weekday afternoons (4:30 pm to 5:30 pm). For the kids, the Brooklyn Golf Center offers three junior golf camps during July and August. The things they will learn include full swine, the short game and rules. 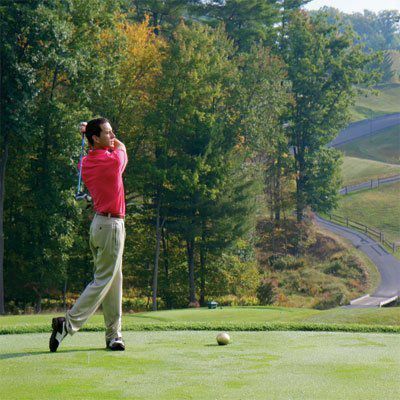 Especially for this year, when you visit with your New York car rentals company AAMCAR the juniors will get to design their own golf course, learning the basics of golf design, and construction. The camp is ended with a huge golf tournament and a picnic. Some of your options include private lessons which can be taken at any time by appointment. Lessons can be sold one at a time or in packages. Prices vary depending on the credentials of the instructor (who are all certified). Things that you will receive when you have your private lesson with your New York car rentals AAMCAR include video analysis and a take-home instructional packet. These things will be very useful when you return from your trip! If you’re looking to save a couple bucks when on your travel with your New York car rentals company AAMCAR try a group lesson. You can all learn all aspects of the game of golf including the full swing, short game, rules and etiquette. Your New York car rentals company AAMCAR understands that you may not have all the time in the world to perfect your technique. If you are eager to hit the green and you are not that experienced, the Brooklyn Golf Center has the playing lessons option. This lesson will allow you’re to take full advantage of their 18 hole par 3 golf course. Quite often the lesson packages will end with a playing lesson at Riis Park Golf Course. For more information or to book a lesson call (718) 253 – 6816. 3 grass greens for putting, chipping & sand practice. To help you plan your trip better with your New York car rentals company AAMCAR visit the Brooklyn Golf Center’s official website at http://www.brooklyngolfcenter.com/ for more information. The Brooklyn Botanic Gardens has come to represent the very best in urban gardening and horticulture, display hundreds of beautiful flowers every season of the year! Located just minutes from the downtown Brooklyn area and neighboring midtown Manhattan, the Brooklyn Botanic Gardens is one of the citys most stunning attractions, showcasing a picturesque landscape of blossoming blooms and beautiful berries! Designed to provide travelers wit ha unique yea-round tourist attractions, the Brooklyn Botanic Garden features a stunning variety of both indoor and outdoor horticultural exhibits, as well as season art shows and reoccurring festivals. The Gardens also hosts numerous restaurants/banquet facilities, providing AAMCAR Car Rentals New York wedding planners with plenty of first-class ceremony and reception space. Green-thumbs of all shapes and sizes are sure to appreciate this natural New York oasis, so dont forget to drop by during your upcoming Big Apple vacation! Admission to the Gardens is just $5 for adults and $3 for seniors and students, so why wait enjoy a breath of fresh air today inside the Brooklyn Botanic Gardens! The Brooklyn Botanic Gardens is proud to provide travelers with an array of first-class visitor services, all of which are intended to provide AAMCAR Car Rentals New York City clients with expert advice and outstanding performance. Services at the Botanic Gardens currently include the Terrace Caf, free weekend tours, a charming Garden Gift Shop, a state-of-the-art Gardeners Resource Center and a volunteer operated Visitors Center. Guests at the garden are encouraged to take advantage of these stellar services, as each showcases a different section of natural beauty and splendor. The Brooklyn Botanic Gardens are also entirely wheelchair accessible, as are most of the onsite facilities. Visitors in need of wheelchair assistance can find complimentary chairs at the front desk at 1000 Washington Avenue. A $20 deposit or drivers license is required. No outside food or beverage is permitted within the garden exceptions include bottled water and baby bottles. Picnicking is strictly prohibited within the garden and all food purchased at the Terrace Caf must be eaten in the designated Caf areas. Picking flowers within the garden is strictly prohibited, as is sitting on any area beside the Cherry Esplanade Lawn and designated garden benches. Blankets and lawn chairs will not be allowed inside the garden. The Brooklyn Botanic Gardens is a non-smoking facility please refrain from smoking on any of the garden complex grounds. Tripods and easels are not permitted in numerous sections of the gardens including the Conservatory, the Japanese Gardens, flower beds or on any outdoor path. Commercial photography is allowed, but only through prior arrangements. The Brooklyn Botanic Gardens is one of New York Citys most famous natural settings, providing AAMCAR Car Rentals New York City customers with a stunning event venue all year-round! Whether youre planning a small celebration for friends or an over-the-top wedding jubilee, the Brooklyn Botanic Gardens have just the spot for you and your guests! The Brooklyn Botanic Garden currently features a wide variety of romantic and pastoral settings, providing couples with a spectacular arrangement of trees, flowers and shrubbery. Popular spots within the Garden include the Japanese Hill-and-Pond Garden, the Cranford Rose Garden, and the Osborne Garden. Full-service catering is also available inside the garden thanks to the Charles, Sally & Charles contemporary American cuisines. For more information on wedding ceremonies at the Brooklyn Botanic Gardens please feel free to contact the Registration Offices at 1-718-623-7220. To learn more about the Brooklyn Botanic Garden simply dial 1-718-623-7200. More information can also be found on the establishments official website at www.bbg.org. On September 11th, 2001 the world as we know it changed. For weeks images of that infamous day were replayed over and over again on every national and international television station. Now, four years later, New York City, the United States and the world are still coping with the tragic ramifications of that fateful day. Today the ground where the World Trade Center Towers stood is known as Ground Zero. After months of debris removal and waves of never ending emotion a memorial is in the process of being erect at Ground Zero. Driving past the spot that used to be home to the World Trade Centers today in you’re New York rental car is sure to fill both American and international visitors alike with an immense sadness. After the initial shock of the World Trade Center attacks had become less apparent the question of what to do with the grounds was bought up. A memorial was the only suitable option, a place for family, friends, fellow Americans and international tourists to visit and pay tribute to the fallen heroes and victims of that fated day. The architect behind the design of the World Trade Center Memorial was chosen from a record number of entries. Co-designer Michael Arad was the winner of the competitions with a design that includes a tree-studded plaza, subterranean corridors housing artifacts and two reflecting pools. This design is called “Reflecting Absence” and is meant to give visitors a sense of peace. Memorabilia from the attacks such as a demolished fire truck, the tower’s faade and Fritz Koenig’s sculpture “The Sphere” (which was originally a centerpiece in the foyer of one of the Towers) have been singled out by the Coalition for 9/11 Families as specific artifacts requested to dot the memorials premises. This site, once completed, will be a magnificent site, both up close, or from the window of your New York rental car, calling forth the American spirit, and the will to persevere. The world will never forget September 11th, 2001, nor will we forget the brave policemen and fire fighters who gave their lives in the line of duty. America thanks you. Ground Zero will also be the home to a brand new World Trade Center Transit Hub. The new PATH commuter terminal was designed by a Spanish architect named Santiago Calatrava as an open aired gateway workstation. The pavilion will mirror the outstretched wings of a bird capturing “the beauty and promise of a dove flying free from a child’s hand”. The terminal will be a $2 billion dollar project that will link an estimated 250,000 passengers to different ferries and 14 different subways helping to alleviate the flow of Traffic for those of you driving New York rental cars. The hub will hopefully open in 2009, so be sure to give your New York rental car sometime that year and take a ride on the subway, remembering the lives lost September 11th. The area around Ground Zero has been dedicated to rebuilding parts of the World Trade Center and other commercial buildings like hotels and retail space. Proposed building plans include skyscrapers which will rise 1,500 feet into the air, higher than the original 1,350 feet World Trade Center Towers, proving that America will not surrender to the fear of terrorism. The skyline of New York City will never be the same without the twin towers of the World Trade Centers and nothing can be done to bring back the lives of loved ones lost. Hopefully the proposed memorial at Ground Zero will help to keep their memory alive. AAMCAR Discount Car Rental would like to welcome you and your fellow travelers to New York City, one of the biggest, brightest and by far busiest places in the world! If this is your first time visiting New York City you may be a little overwhelmed by the high volumes of traffic speeding down most of the expressways and downtown avenues. But just because it looks a little scary doesn’t mean that you should abandon the idea of purchasing a New York car rental. We here at AAMCAR have put together a few helpful tips for getting around the Big Apple in your New York car rental. From keeping your cool in rush hour traffic, to navigating busy intersections, we’ve got all your basic questions covered here! Know where you are going! New York City is an extremely hectic place to drive, even for seasoned veterans! So make sure that you know exactly where you wish to go, and try having at least two routes planned. That may sound like a lot of extra work, but trust me; if you only have one route to follow it’ll be just your luck to hit construction or an accident. In this case be sure to always have a local map stashed in the glove compartment of your New York car rental. If you’re lucky you may still be able to formulate a backup plan! Watch for Pedestrians! NYC is always crawling with pedestrians regardless of the time of day so be careful to watch for jaywalkers and other inattentive by standers. Avoid driving with distractions! Please don’t try and drive while talking on your cell phone, especially if you’re unfamiliar with the streets. Cell phones can cause you to miss unfamiliar street signs resulting in the possibility of an accident. So please turn down your radio, eat breakfast before you leave the hotel and turn off your cell phone; you don’t want to spend your trip to New York City in the hospital. AHHHHH, Rush hour traffic! It’s ok, try to stay calm! The best advice I can give about rush hour is to avoid it! Driving between the hours of 7 to 9 AM, and 5 to7 PM on any main streets is probably not a good idea; you will most certainly get stuck in the morning and evening commutes. If it is absolutely necessary to be on the roads during these periods be sure to plan your time accordingly. Try to leave at least and hour ahead of schedule. And don’t be surprised if you have to wait for over 2 hours in traffic it’s been known to happen! Two-Way: many major streets in New York are common two-ways; this means traffic is traveling both with you and against you. One-Way: If you’re planning to visit Manhattan in your New York City car rental be prepared to see a lot of these; this may hamper many of your traveling plans so be sure to have a map handy! Turning: Turning on a red traffic light in all of the New York boroughs, including Manhattan, unless otherwise stated, is strictly PROHIBITED! On some corners you may find signs that say “After Stop Right Turn on Red Permitted” but these are not common, so if in doubt, DON’T TURN! New York Speed Limits: Speed limits on all of the New York City boroughs streets are 30 miles per hour (excluding expressways),unless otherwise posted and no this is not just a recommendation. Police are constantly on the look out for speeders so don’t think that just because you have a fancy New York City car rental you have the right to zoom around like a crazy person! Constructed in 1872 by designer Frederick Law Olmsted, Belvedere Castle is one of Central Parks most enchanting attractions, providing AAMCAR Car Rental New York City travelers with a unique mix of medieval and modern culture. Perched atop an immense outcropping of bedrock, this delightful structure is currently home to the Henry Luce Nature Observatory, as well as art exhibits and seasonal displays. Located within walking distance of Central Parks Turtle Pond, the Great Lawn and the Delacorte Theater, Belvedere Castle is one of NYC most prized architectural monuments. Named for the castles large belvedere tower, Belvedere Castle adds a dash of unexpected class to the carefully crafted pastoral land landscape. The Belvedere Castle in Central Park was originally constructed as a Victorian folly in 1872, showcase a myriad of open window frames and doorways. In architectural terms a folly, or fantasy building, is simply a pint-sized representation of a Greek or Roman temple, or as in this case, a Gothic Castle. Today the castle features true windows and doors, playing host to one of the parks most popular attractions the Henry Luce Nature Observatory. This state-of-the-art building features a variety of exciting displays showcase the natural world beneath high powered microscopes and technologically advanced telescopic lenses. Designed to inspire car rental New York City travelers of all ages, the Henry Luce Nature Observatory also features a display of paper mch reproductions, representing most of the local birdlife. Belvedere Castle is also home to one of the citys most advanced meteorological instruments, providing AAMCAR Car Rental New York City travelers with up-to-the-minute weather reports and temperature readings. Turtle Pond and Turtle Island: Located directly beneath Belvedere Castle, Turtle pond features an extensive natural habitat of shoreline plants, providing insects, reptiles and birds with a sound ecological niche. The Great Lawn: The Great Lawn is located just next door to Belvedere Castle, providing AAMCAR Car Rental New York City travelers with a place to stretch their legs and enjoy some physical activity. The Great Lawn is also the site of many annual events and open-air concerts. The Delacorte Theater: The Delacorte Theater, which can be seen from the top of the Belvedere observation tower, is home to numerous summer theatrical presentations, including the ultra popular Shakespeare in the Park festival. If youre traveling with young nature enthusiasts during your upcoming AAMCAR Car Rentals New York City vacation, remember to drop by Belvedere Castle and ask for one of the free backpack packages, which feature binoculars, reference material, maps and notepaper. Budding naturalists are encouraged to borrow these hand knapsacks before embarking on a further adventure of the surrounding areas. AAMCAR Car Rentals New York City recommends investigating the Ramble area (located just outside the castle) first, as it houses many exciting insect and bird species. Belvedere Castles mix of old and new creates an exciting tourist attraction at the heart of Central Park, so dont miss your chance to drop by and check it out! Open from Tuesday through Sunday from 10am to 4:30pm, Belvedere Castle is unlike any other attraction in the city, so grab a friend and remember to check it out during your upcoming AAMCAR Car Rental New York City vacation. If you would like to learn more about the history of Belvedere Castle please feel free to visit the official Central Park website at www.centralparknyc.org. Visitors are also invited to contact the Castle information center for more details on current exhibitions on display at the Henry Luce Nature Observatory by calling 212-772-0210. When you travel to New York City with your New York car rentals company AAMCAR Discount Car Rentals no trip is complete without a Broadway musical. Beauty and the Beast is a lovely classic tale known by many. Do the tale justice by watching it in a large Disney theatrical production with your New York car rentals company AAMCAR Discount Car Rentals. Only in New York can you see Beauty and the Beast in all its grandeur with the use of pyrotechnics, costuming and special effects to produce one of the greatest Broadway productions. Beauty and the Beast on Broadway premiered on April 18, 1994. Owned by The Walt Disney Company, Beauty and the Beast is Broadway’s sixth – longest running production by Disney Theatrical. Beauty and the Beast is a traditional fairy tale which has its origin as far back as 1740 where it was believed to be first published. The story begins when Beauty’s father takes refuge in Beast’s castle during a bad storm. He plucks a rose from the palace intending to give it to his daughter. The owner of the castle, Beast is enraged and as a thief he must die. Beauty’s father begs to see his daughter one more time. The Beast offers him a deal; he may live if one of his daughter’s will come back and suffer in his place. Beauty becomes the mistress of the enchanted palace and the Beast asks her to be his wife. She declines, only wanting to be friends but as one last request she wishes to see her father one last time. The Beast allows it but with the delay of her promised return Beauty returns to find the Beast distressed almost to the point of death. Begging for his life, Beauty agrees to be his wife and the Beast becomes transformed into a handsome prince. Unknowingly, Beauty had broken a spell cast on the prince by a witch long ago. Beauty and the Beast Disney film were adapted as a theatre production by Linda Woolverton and Alan Menken. Lyrics by the original lyricist Howard Ashman were used with the addition of lyrics made by Tim Rice. These seven new songs are not included in the original movie and you can only hear it during the Broadway performance with your New York car rentals company AAMCAR Discount Car Rentals. The songs include “No Matter What”, “Me”, “Home”, “How Long Must This Go On?”, “Maison des Lunes”,”Human Again”, and “If I Can’t Love Her”. If you need wheelchair – accessibility, hearing devices or Showtrans audio translation system (available in Italian, German, and Japanese) when you travel with your New York car rentals company AAMCAR Discount Car Rentals they are all available through the Lunt – Fontanne Box Office. You can call (212) 575 – 9200 for more information. Visit the Beauty and the Beast on Broadway’s official website at http://disney.go.com/theatre/beautyandthebeast/index.html for more information on your visit when you travel with your New York car rentals company AAMCAR Discount Car Rentals. Battery Park is at the Southern tip of Manhattan with beautiful views of the Harbor, the Statue of Liberty, and Ellis Island. Parking is available near the park for your New York car rental, or take public transportation. This is one of New Yorks oldest open public spaces, with 23 acres of waterfront land. In the summer, there are beautiful promenades and other activities, such as open-air concerts. Also, many other famous New York landmarks are within walking distance. They include the New York Stock Exchange, the Smithsonian Museum of the American Indian, and the Staten Island Ferry. You can drive your New York car rental down for the day and explore this section of New York City. The land where Battery Park now stands is where the Hudson and East Rivers meet. Dutch settlers landed here in 1623 and built a battery of cannon to defend the new city, which they called New Amsterdam. Fortifications were built over the years, until the War of 1812, when Castle Clinton was built. After tensions between Canada and the U.S. calmed down, Castle Clinton was renamed Castle Garden and made into a cultural center. By the mid-1800s, Castle Garden became the first immigrant receiving center before Ellis Island was established. At the end of that century, the Castle was turned into the New York Aquarium, one of the first in the country. Come down with your New York car rental and experience this part of early American history. Battery Park has extensive gardens on the property. The Upper Promenades gardens are now called the Gardens of Remembrance as a tribute to the survivors of September 11, as well as a place of solace and renewal. There are 109 varieties of hybrid perennials and native plants through all four seasons. Netherlands Memorial this memorial was dedicated by the people of the Netherlands to commemorate their history at Battery Park. Fort George Memorial this memorial marks the spot of the southwest bastion. It has disappeared and been rediscovered twice since 1817. New York Korean War Veterans Memorial this memorial is dedicated to the veterans of the Korean War. There are many more memorials dedicated to important events in New York Citys history. Be sure to visit them when you come down with your New York car rental. Come see Battery Park and the history of early New York with your New York car rental. On December 8, 2005, workers found a 200-year-old stone wall where they were beginning to work on a new subway station. “This wall most likely is a portion of the gun batteries that once protected the city in the late 17th and 18th centuries and gave rise to the modern park name,” said Robert Tierney, chairman of the Landmarks Preservation Commission. Come down to Battery Park for a relaxing day and to experience part of New Yorks history with your New York car rental.